Eleanor Kars, age 91, of Holland died Saturday, March 30, 2019 at American House Holland. Eleanor was a member of the Holland Seventh Day Adventist Church. 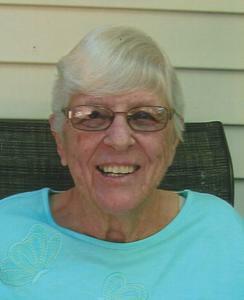 She worked in the church community service center for many years. Eleanor taught the younger children of the church, becoming a beloved and renowned story teller. She enjoyed bird watching and was known to feed any and every animal she could. She is survived by her children: Beverly and Arthur Grimes of Zeeland, Terry Kars of Hamilton and Kimberly and Bruce Bos of Martin, MI;grandchildren: Dale and Julie Grimes, Tonya and Marcel Hubbell and Courtney Grimes; great grandchildren: Megan, Sarah, Emily, Rachel, Autumn, Catelyn and Justen; great great grandson: Theodore; brother: Earl (Duke) and Dorothy Dunnewin of Citrus Heights, CA; sister-in-law: Ada Rooks of Holland; brother-in-laws: Gerrit Kars of Holland and David Kars of Holland; many nieces and nephews. A funeral service will be 11:00 am, Wednesday, April 3, 2019 at Holland Seventh Day Adventist Church, 11279 East Ottogan Road in Holland. Pastor Sean Reed will be officiating. Burial will be in Pilgrim Home Cemetery.